Having a cat for a pet may be a joyful experience. But, as with all pets, problems might arise. Especially if your beloved kitty lives indoors with you. 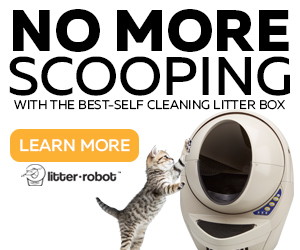 A common issue is your cat refusing to use the litter box for pooping. There are some reasons cats do this. But they don’t do it on purpose. It’s more constructive to help them overcome this problem instead of being angry. 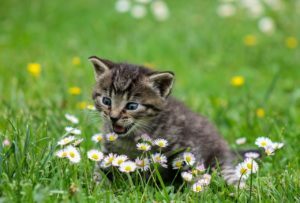 1 Why Do Cats Poop Outside the Litter Box? Why Do Cats Poop Outside the Litter Box? In essence, this happens because your cat doesn’t like the litter box you have set up. This aversion might be caused by a few reasons. Firstly, your cat might be experiencing some medical problems. Some common ones are constipation and bowels inflammation resulting in diarrhea. Constipation can be very painful. Your cat might associate the pain with the box usage, which leads to her not using it at all. In the case of diarrhea, your cat won’t be able to hold it in until it reaches the litter box. So they’ll do it wherever. Additionally, declawing might cause serious problems. 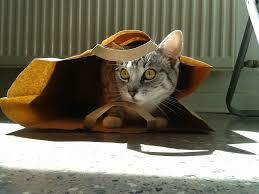 This can be among the reasons your cat avoids the litter box. Declawing leaves lasting painful consequences. This makes your feline’s paws sensitive to different types of sand substrates. Hence, causing your cat to refrain from using the box. Even if your cat is not declawed, she can find some surfaces more to her liking than the others. Another obstacle cats may encounter are the strong smells. Whether it is a stench or scent, their olfactory sense is very keen. They can be repelled either by a dirty or a scented litter. Besides litter, the cleanser you are using for washing the box might leave traces of perfume which could cause discomfort to the cat. The size and height of the box are also important. It is not so uncommon that the box is too small. Also, if your cat is old and has arthritis, she can find the box ledge high. When it comes to using covered boxes, a number of problems might emerge. You may forget to scoop it often enough. 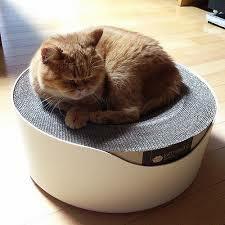 Your cat might find herself trapped while using it, especially if she has other feline buddies in the house with whom she shares the facilities. The position and number of the litter boxes should also be considered. Especially in the case with an old cat or more than one cat living in the household. First of all, you should take your cat to the vet’s for a check-up. You might be asked to bring a sample of stool for analysis. Once you’ve eliminated the possibility of medical issues, you should rethink the choice of the litter box. And the potential problems their usage poses to the animal. 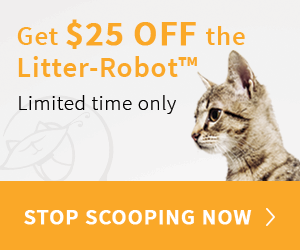 Majority of cats prefer soft and especially unscented litter types. If the soft sand substrate doesn’t work, observe your pet and try to figure out which is the surface she prefers. If she goes on the tiles or hardwood floors, simply put no litter in the box and see what happens. On the other hand, if it’s the carpet she prefers, try putting a patch of it to her box and see if she likes it. Likewise, if you’ve been using perfumed litter, try switching to the more neutral one. It is also recommended that you use diluted bleach or dish detergent when washing the box. Rather than some of the strong cleansers which leave detectable scent after washing. More importantly, scoop the litter often enough, i.e. twice a day, and wash the box once a week. You’ll thus keep it clean enough for your little posh furry friend. Make sure the box ledge is low enough. Its size is to be considered as well, and it should be 1 ½ the size of the animal. It should be placed somewhere away from loud appliances, because their noise is too stressful for the animals. 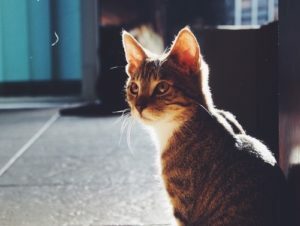 Also, if you’ve got two or three cat buddies in your house, you should most definitely have multiple litter boxes, and in each area and level of the house, so each of them can use one of the lavatories at all times. Ideally, you should have a box for each cat plus one additional, so your kittens would always have a clean bit of sand to use. Some of them would use one litter box for peeing, and other for pooping, so there is an extra reason to get an extra box. There are many details your cat might find problematic. The key is in trying and understanding, never punishing. You don’t want your cat to fear you, but see you as protecting and loving. 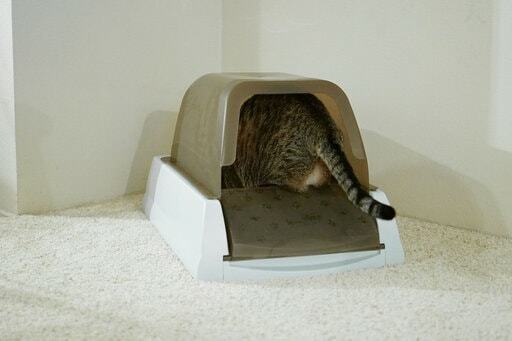 So experiment: try various litters and boxes, place them in this and that part of the house. 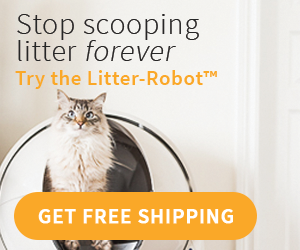 And watch – your cat will surely tell you what suits her. When Do Kittens Start Using the Litter Box ? 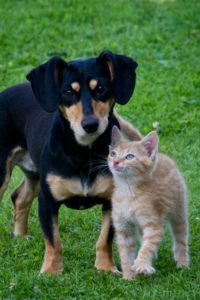 How to Keep the Dog Out of the Litter Box?